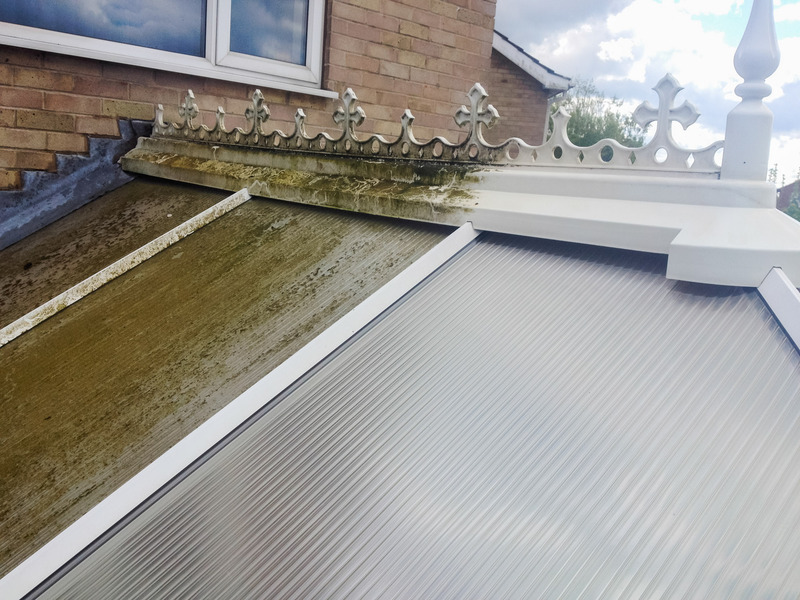 Even after a short amount of time both polycarbonate and glass conservatory roofs can begin to turn green with algae. The A Clean team are highly trained to clean Conservatory Rooms and have done so for many commercial and residential properties in the Yorkshire area. If you’re located in the Yorkshire area and are looking for a professional conservatory roof cleanse, then contact us today. We can clean regularly or just as a one off to transform your tired roof back to its former glory. We do not climb or walk on your roof; we clean every inch with our reach and wash system, safely and effectively. You will be amazed at how much of a difference it will make to your home having your Facias and Soffits cleaned. The A Clean team can remove the dirt, mould and mildew that may be lurking in your Facias and Soffits. It will bring a new lease of life to your property and could potentially increase the value of your property and save you from future costs. If you own a commercial or residential property in the Yorkshire area and need your windows, conservatory roof, gutters or facias and soffits cleaned, then call the The A Clean now by text or email for a quick quote.